Two outstanding University of Newcastle (UON) researchers have been named recipients of the prestigious 2017 Premier’s Prizes for Science and Engineering, announced today at a reception held at Sydney’s Government House. The awards recognise excellence in science and engineering, and seek to reward outstanding researchers for cutting-edge work in these fields. Spanning the fields of secure communications and biomedical technologies, Associate Professor Sarah Johnson was named the category winner for Excellence in Engineering and Information and Communications Technology, while Dr Susan Hua was named NSW Early Career Researcher of the Year. Since obtaining her PhD in 2004, Associate Professor Johnson has helped develop algorithms to enable the secure transfer of communication between two parties, including new approaches for quantum key distribution technology. As an affiliate of the Hunter Medical Research Institute (HMRI*), her work in biomedical engineering has focused on developing advanced technologies to enable physical rehabilitation within the home environment. Dr Susan Hua, also an affiliate of HMRI, is a registered pharmacist and has held a full-time teaching and research academic position at UON since 2010. In that time, Dr Hua has identified promising research avenues in therapeutics and drug delivery. She independently established the Hunter region’s first translational nanopharmaceutics research program, which is developing targeted therapeutics to provide new treatment strategies for clinical disease management. UON’s Senior Deputy Vice Chancellor and Vice President - Global Engagement and Partnerships, Professor Kevin Hall, said the awards recognise the high-caliber research being fostered at the University by some of the brightest minds in the state and country. “Associate Professor Johnson and Dr Hua are driving global innovation and impact in their fields and we are extremely proud to see their achievements recognised through these prominent awards,” Professor Hall said. 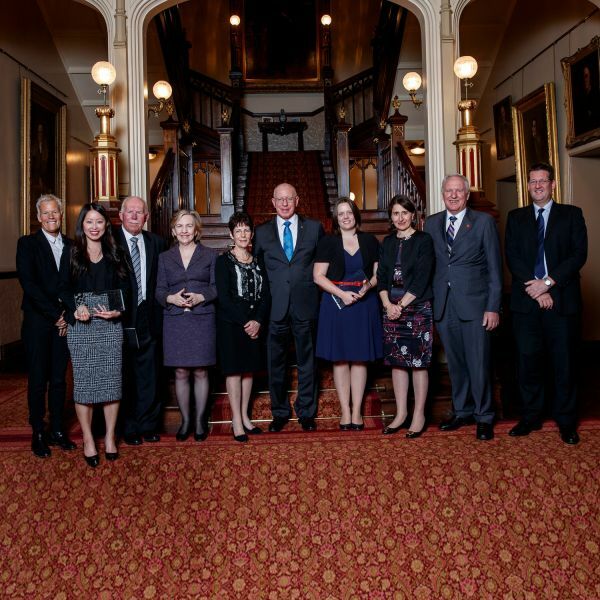 UON has a strong track-record of success across The Prize’s nine-year history, including three Laureate Professors being named NSW Scientist of the Year.